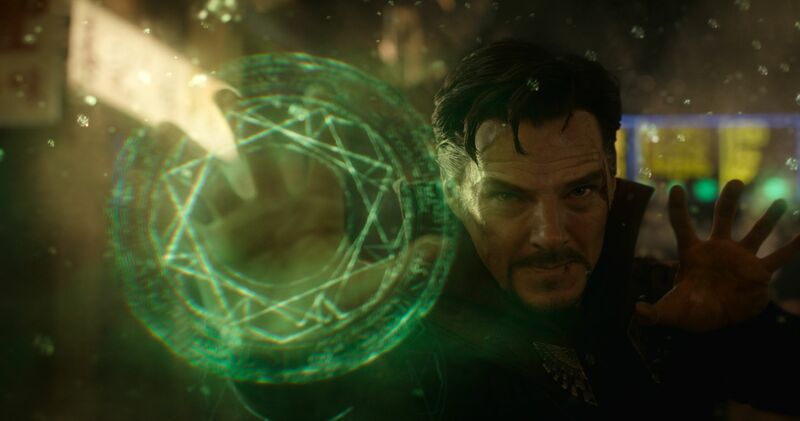 Doctor Strange Relies on Visuals but Works! Every year movies try to revolutionise the visual experience that going to the movies can deliver, like Inception in 2010. Doctor Strange tried very hard to replicate this, but ultimately fell a little short and is now more likely to be remembered as a film inspired by Inception rather than its successor. It was obvious from the get go that this movie looked to make its mark visually and while it did excel at times at doing this, it also had to sacrifice in other areas to achieve this. One of these components was the script: while having some intriguing plot points, they were ultimately watered down by director Scott Derrickson’s devotion to creating breathtaking visual scenes. The script rushed through explaining the mythos of the Doctor Strange’s character, as well as not providing as much time on developing relationships between Dr. Stephen Vincent Strange (Benedict Cumberbatch) and other characters such as Christine (Racheal McAdams), Karl Mordo (Chiwetel Ejifor), and The Ancient One (Tilda Swinton). This was most evident near the end of the film when certain characters storylines weren’t wrapped up, and story elements for the sequel were hastily laid. Also, the lack of a comic relief character made the humour feel out of place when it was worked into the story (a classic Marvel trope), with the serious tone of the narrative creating a rough contrast when humour was injected. The film was still thoroughly enjoyable because of the effort that was made in post production to create a visual world that would capture the imagination, which was also accompanied by a good musical score. The producers also did a good job casting the film with Cumberbatch doing a serviceable job, and proved to be a safe choice compared to other possible candidates such as Tom Hardy and Jared Leto. Rachel McAdams, while a fine actress, struggled to find chemistry with Cumberbatch and did not have much to work with script wise, therefore continuing a lack of strong female characters in the Marvel Universe. The most interesting casting decisions were the two critically acclaimed actors, Swinton and Ejifor. The decision seemed to pay off with both being able to keep pace with Cumberbatch, and Swinton putting in perhaps the best performance of the film. The most disappointing performance was by Mads Mikkleson who played the villain Kaecuilis . He has performed well as the villain before in Casino Royale and Hannibal but seemed ill fitted for this role. Ultimately the vibrant and creative imagery on the screen will keep audiences happy, and the tent-pole movie style of Marvel has done enough to keep most fans relatively happy as well. Doctor Strange attempts to enter new territory for Marvel, and its a good first step.